Bengaluru, 9th September 2017: First edition of India Poker Championship Awards hosted by India’s leading poker gaming portal, The Spartan Poker, witnessed a grand success in Bangalore today. The first of its kind poker award ceremony was held at Sheraton Grand in the Garden City on Saturday, 9th September 2017. 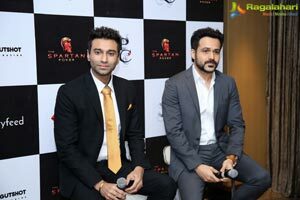 Recognizing excellence in the Poker industry, The Spartan Poker felicitated 72 poker players across 6 different categories in the presence of eminent Bollywood actor EmraanHashmi and popular standup comic Naveen Richards. 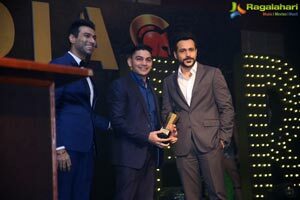 The Awards were given based on the players’ winning participation in various tournaments; Emraan Hashmi and the Directors of TheSpartanPoker from the poker industry also felicitated the winners in leading categories at the function. TheSpartanPoker.com is India's leading & most-trustworthy online Poker gaming portal. It is an India centric online gaming hub that aims to bring the sophistication and quality of a world-class online gaming platform to gaming enthusiasts in India. 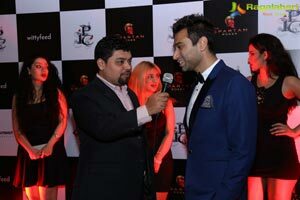 With a vast variety of Poker tournaments, offers and game offerings, TheSpartanPoker.com, founded by Poker Badshah, Amin Rozani, in 2014, has become the hotspot for Poker aficionados across India. TheSpartanPoker.com offers unmatched technology, software and service to online Poker enthusiasts across the country. The online Poker gaming portal is recognized among patrons and Poker lovers alike as the trustworthiest online gaming portal in India as the portal operates under the highest standards with regards to payments, transaction management, customer support, etc. It is India’s first card room to offer a rake-based online poker model.